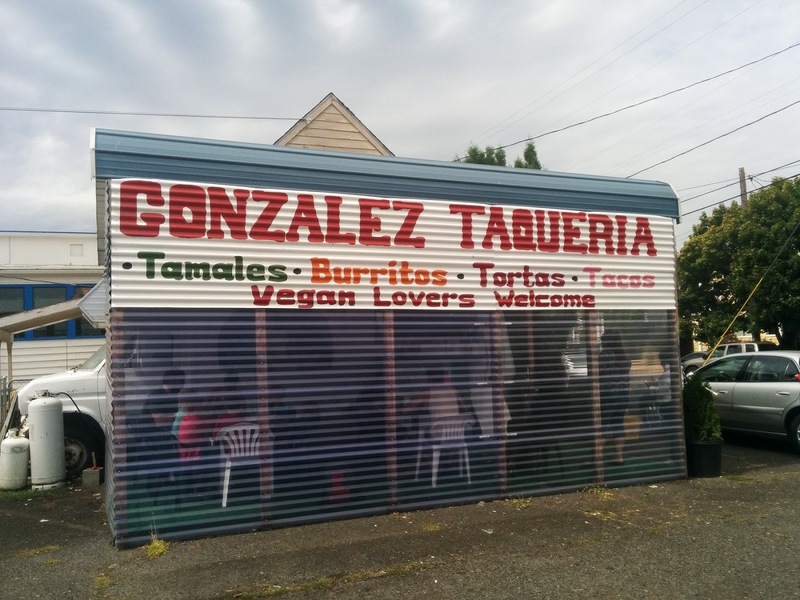 This little taco truck is in the Overlook neighborhood, sitting next to a gas station on Killingsworth, just west of Interstate Ave. 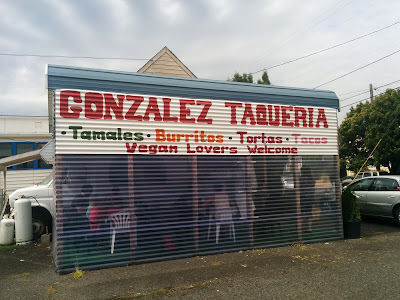 I've been wanting to try it for a long time, but it's limited hours (9am-6pm, M-F) have prevented that. So, I was super excited to finally have the privilege. If you don't want to sit in the covered seating area, you can grab a burrito and head over to the bluff for a nice view while you eat. Bring lots of napkins, perhaps a bib. Waiting in line, I could tell this place was packed with locals who love it. 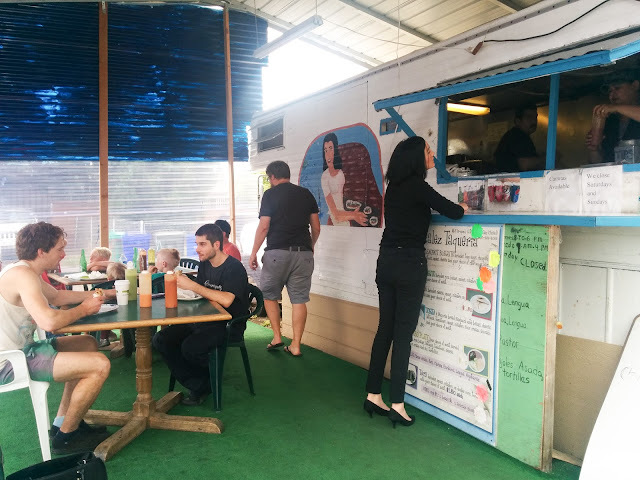 The owners were super friendly and chatting with everyone. They were sweeties. 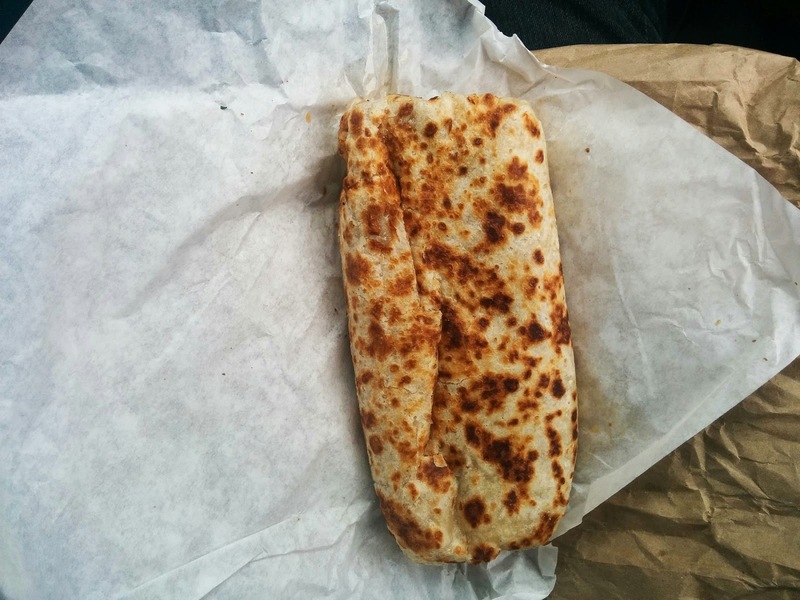 Upon the initial unwrapping of this burrito, I noted the perfectly toasty tortilla, with its happy little brown freckles smiling up at me. The underbelly, however, was saturated with a greasy sheen. After the first bite, I was a smitten kitten. Luscious, fluffy flakes of braised pork tickled my receptors, burrowing deep into my core, searching out my soul. 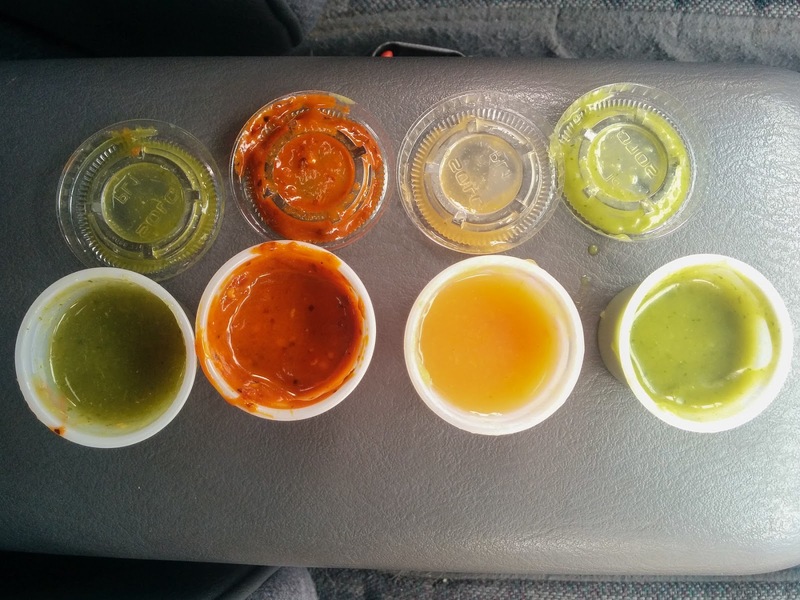 My heart was set all aflutter as I sampled the wealth of salsa delights. 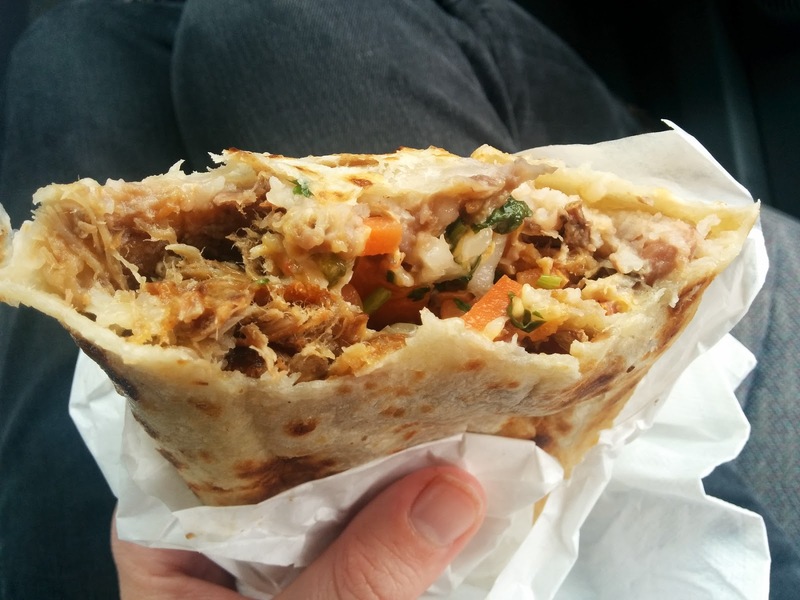 The fresh pico tunneling through the central burrito zone was the perfect counterpoint to the greasy pork. The minimal amount of rice cradled the main ingredients, letting them shine while soaking in the porky juices. Despite the escaped grease, this guy held together fine. Whether it was the humidity or the intensity of flavors, I do not know, but when it was all said and done I had my own glossy sheen- of sweat. Our fluids mingled, my soul was touched... I just might be in love (or lust). 4.2 outta 5 stars. I'm drooling over it right now. 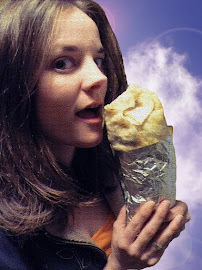 Like me on Facebook and message me about your favorite burrito in Portland!